This category is for fishing related information. Miss Bizz has posted a great video that explains how the new crafting bags work. 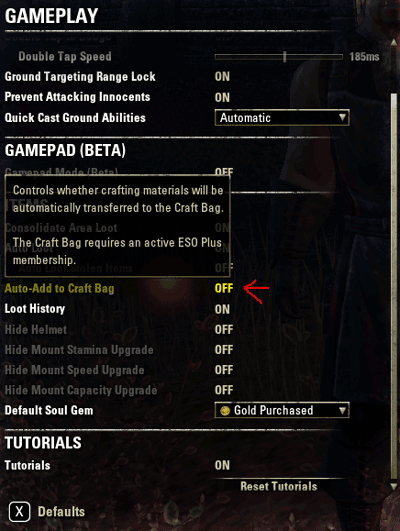 The video includes what happens when you first logon after the patch, what is stored in the bag, how items get in and out of the bag (needed for mail, trade, and listing with guild trader), and how to access your crafting bag contents. Duration: approximately 5 mins. Play2WinTV has included in their ESOTU add-on series, a video on fishing add-ons. This video is under 15 minutes and worthwhile if you are interested in getting your ultra rare Master Angler Title and Fishing Achievement. Addons: Voltan’s Fisherman, Voltan’s Fish Filet, Rare Fish Tracker, and HarvestMap.